The Bauhaus, an art and design school founded in Germany in 1919, trained it students to work with industrial producers to manufacture affordable household objects that exemplified efficient design. 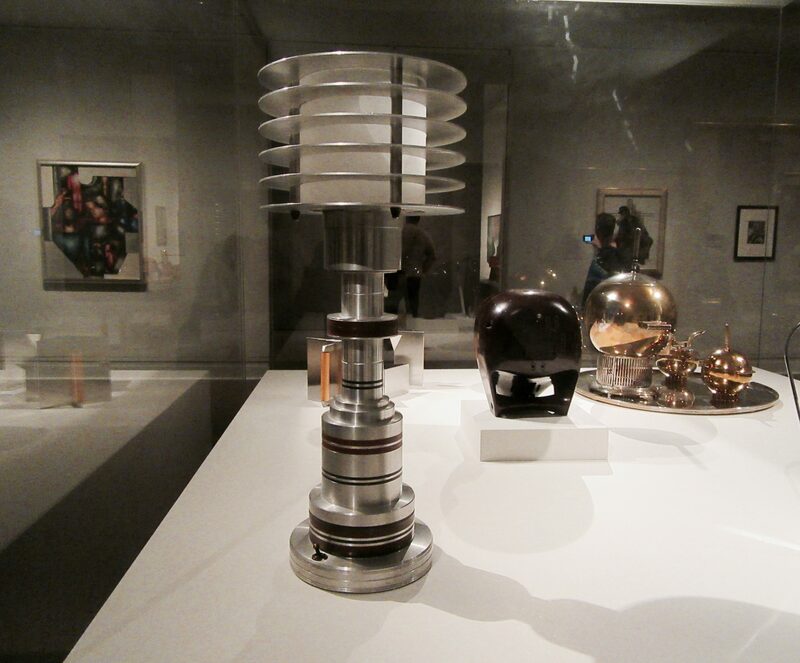 Bauhaus designers found inspiration in pure geometric forms, and American designers quickly adopted this aesthetic, radically paring objects down to basic shapes that were easy to fabricate mechanically. 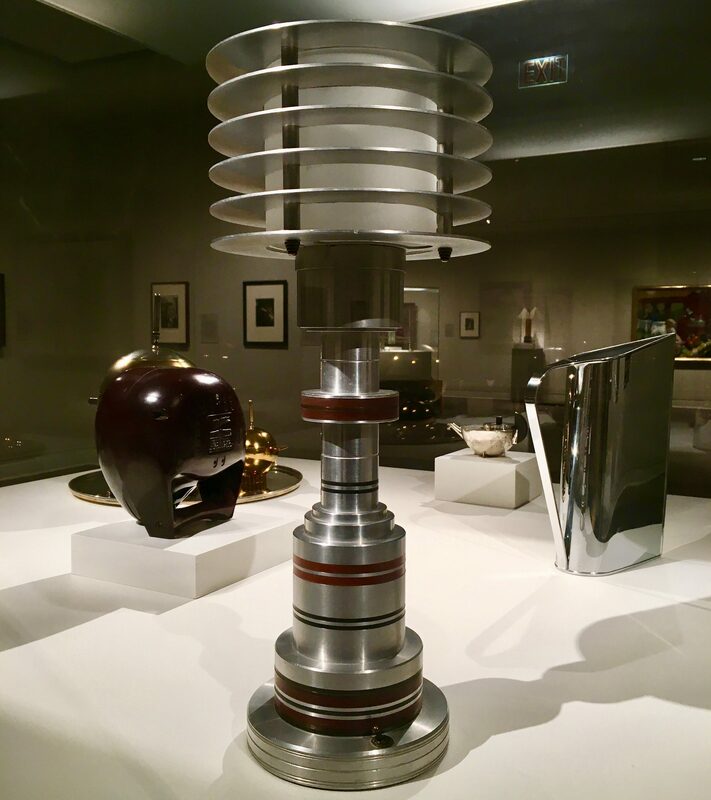 The stacked cylinders of this Table Lamp (1935) evoke the moving cogs of machinery and exemplify the simplified beauty of industrial, everyday modernism. Photographed the Metropolitan Museum of Art in NYC.